Despite the hype, Blockchain is not a “silver bullet” answer to all the problems supply chain faces today. Instead, I think the value of Blockchain will be fully realized after a cumulative progression of new technologies and market disruptions (e.g. 3D printing, AI, big data, IoT) lay a more stable foundation for Blockchain to gain acceptance. This post explores the basics of Blockchain technology, where it could have helped in the past as well as the risks and rewards from a supply chain perspective. I’m sure you have heard of the cryptocurrency called Bitcoin, platforms for developing blockchains like Ethereum (also see GNOSIS), and other similar Blockchain stories in the news. Wal-Mart is partnering with IBM to increase transparency throughout its supply chain by using blockchain technology to improve food safety practices, which we’ll get into later. Decentralized Database – There is no central server hosting all the information, but rather a network of computer systems within the blockchain that provide the framework for the systems and programs to function. Mining Systems – or “Miners” that are a peer-to-peer network using a protocol for validating transactions and authentication. Smart Contracts – are programs that kick on when certain conditions are met (i.e. transactions are validated by the network of Miners in the blockchain system you are using). In essence, blockchain technology eliminates and replaces the checks and balances regulatory systems required for a centralized system to validate specific information. In other words – is this the person who they say they are? Does this person qualify for said transaction? Has this transaction been authorized by the appropriate person(s) or entity, and does it meet the minimum qualifications as required by the network and parties involved in the transaction? Successfully transporting containers of ocean freight involves managing heavy “red tape” to ship products via ocean freight. It becomes an arduous process since very little of the documentation required is digitized. If certain forms are not submitted, it could mean your container is sitting in a port somewhere with spoiled product. In one example provided by IBM, a shipment of flowers could require approvals/decisions by 30 unique organizations and up to 200 communications over a month to complete the shipment process. Now, imagine if the documents were digitized and Blockchain was put in place. 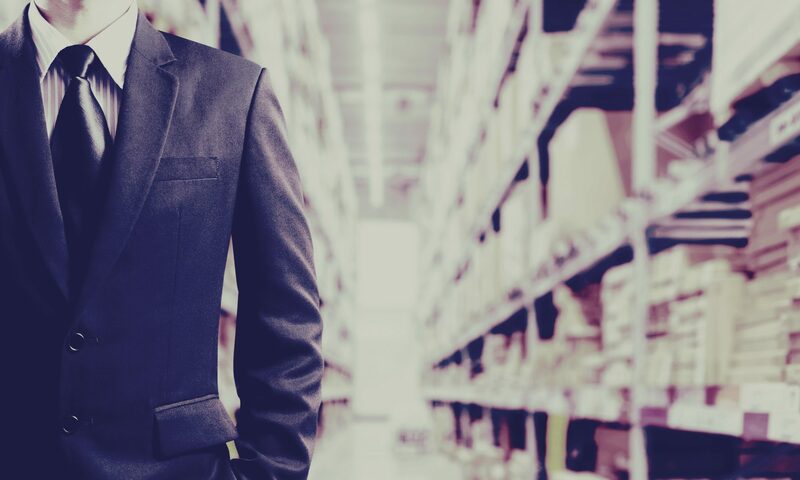 Each party along the supply chain would have end-to-end visibility of where the product came from, how it was transported and when it is going to arrive so now the process is seamless. This is an ideal situation, obviously, but comparing the two scenarios highlights the degree to which Blockchain could improve processes. Being able to monitor a shipment by tracking its location, condition and mode of transportation is vital to making the supply chain as efficient as possible. Frank Yiannas, VP of Food Safety for Wal-Mart recently spoke on Wal-Mart’s partnership with IBM, and steps are being taken to improve food safety and transparency across Wal-Mart’s expansive supply chain. Click here to see the entire talk. In 2006, there was an outbreak of spinach contaminated with E. coli bacteria (see CDC summary here) that forced the FDA to recall all spinach from the market for two weeks while an investigation revealed the infected spinach came from one day of production on one lot from one farm. 31 people experienced kidney failure, and 3 people died. By using blockchain technology to track and trace product to its specific sources, the contaminated spinach would have been identified in a matter of hours, if not sooner. Similarly, in 2008 Peanut Corporation of America (PCA) announced that their peanut products were contaminated with salmonella bacteria (see CDC summary here). As a result, 3,913 products made with PCA products were pulled from the market. Some products took up to 2 months to announce the recall. Basically, it was a huge mess. In fact, the CEO, Stewart Parnell, is still serving jail time because of his role in obstructing release of the announcement. Nine people died as a result of the outbreak. Again, under a blockchain system, the precautions necessary to contain/prevent a similar outbreak would be much more responsive. Yiannas went on to explain that the blockchain solution would, by default, shine a spotlight on the food system. The goal would be to create a transparent process where we have an entire interconnected view of the supply chain (what, where, when? ), how products are produced, other attributes and interrelated insights that we cannot readily see today. Human error / Garbage in-Garbage out – If the processes that put data into the system are not accurate or consistent, there will be repercussions. While Bitcoin has been around for years now, the implementation in other industries and markets remains unproven over a long term and global scale. Risk of collusion to defraud the system is there, however unlikely. Tech talent is scarce which makes implementing these processes and technologies expensive. No standards really exist for this type of technology which makes it difficult to understand and regulate. Regulation would require large scale adaptation (a major hurdle for government approvals and oversight). Public cloud supply chain solutions will suffer if/when it takes off. This technology is still in its infancy, but I expect we will see some amazing things as more and more companies adopt blockchain technology. Please post a comment or give me your thoughts. Below I’ve provided some links to additional reading and examples of blockchain tech being brought to supply chain industry.